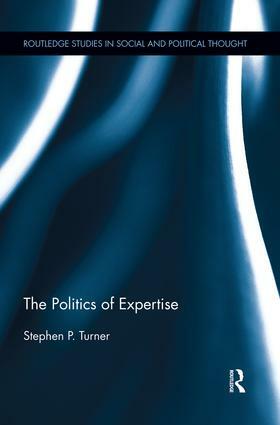 This book collects case studies and theoretical papers on expertise, focusing on four major themes: legitimation, the aggregation of knowledge, the distribution of knowledge and the distribution of power. It focuses on the institutional means by which the distribution of knowledge and the distribution of power are connected, and how the problems of aggregating knowledge and legitimating it are solved by these structures. The radical novelty of this approach is that it places the traditional discussion of expertise in democracy into a much larger framework of knowledge and power relations, and in addition begins to raise the questions of epistemology that a serious account of these problems requires. What is the Problem with Experts? Was Real Existing Socialism a Premature Form of Rule by Experts?